Methamphetamine (Meth) is made from readily available materials and household chemicals. 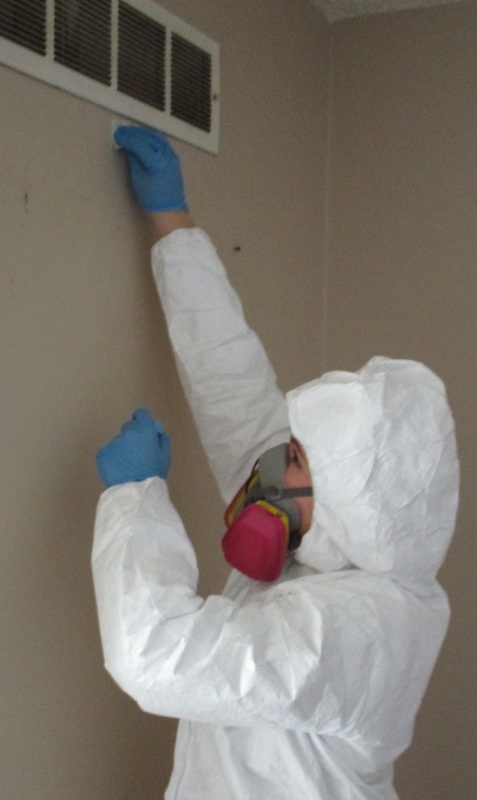 As a result of the “cooking” or smoking process, chemicals and their fumes may contaminate a Property. Short-term exposure to high concentrations of chemicals that may exist can cause adverse health problems such as respiratory (breathing) problems, skin and eye irritation, headaches, nausea and dizziness. Not much is known about the health effects from long-term exposure but even small amounts of meth lab contaminants may pose health risks. Building materials such as carpets, drywall, ceiling tile, wallboard, furniture, and other porous materials may absorb spilled chemicals. If chemicals are dumped in sinks, toilets, or tubs, corrosion of pipes may occur. If chemicals are dumped in a septic system or on the ground, soil or groundwater may become contaminated. If meth contamination is suspected, EnviroNET can perform meth sampling to determine the presence and locations of contamination. If present, EnviroNET will develop a remediation plan or abatement protocol to assist Property owners with meth cleanup. Once remediation is complete, EnviroNET can perform clearance testing to determine if cleanup was successful. See what other home services we offer.